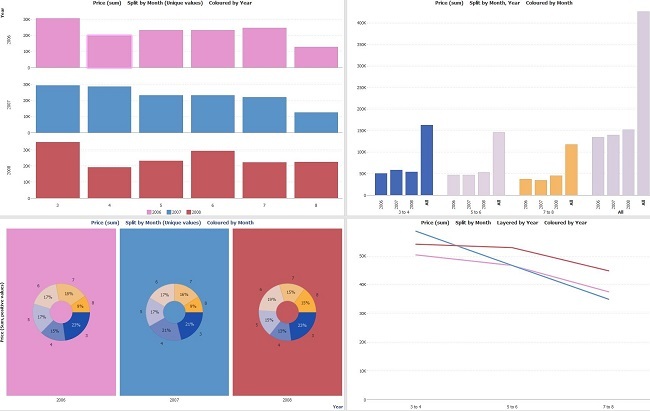 I work with Data Manager and with Omniscope Dashboard like a beginner. I need to show two complete years on left and two periods from year for example 1-6 2014 and 1-6 2013 on the right side. Something like on my example. Can you help me, how can I do this? Thank you for your help. If you wish to have multiple views in the same tab, displaying different 'time-slices', you can change the time frame in the Split menu to create either split by unique period or by different intervals. 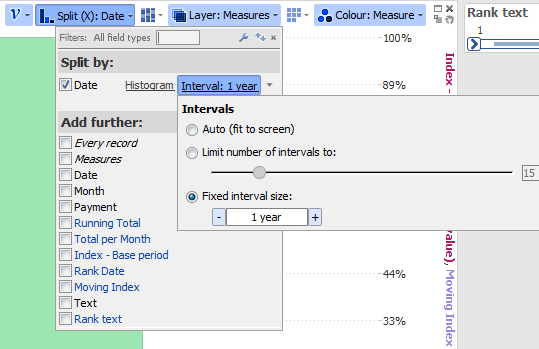 In this case you are using [Date] field to split the data, so please click on the Histogram option (see image), and then on the Interval to create your 6-month or annual bars. 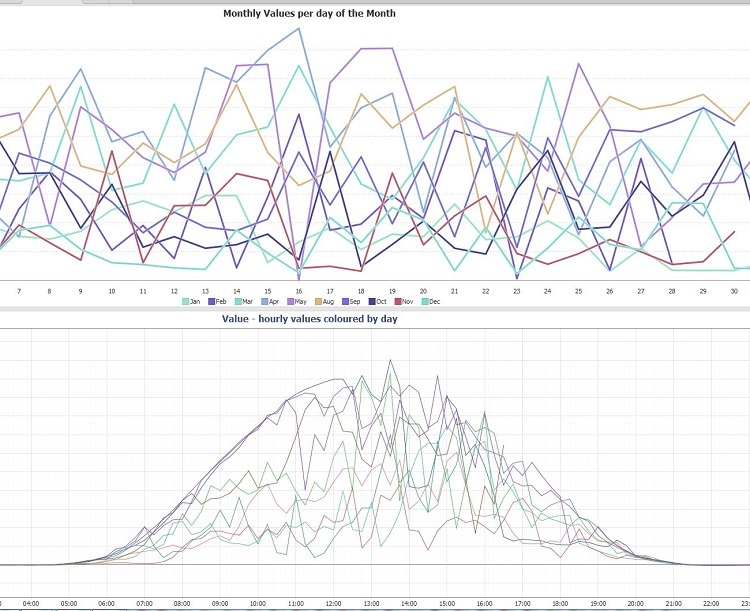 You can also use queries to create views that might be displaying different datasets, for example different years. Another useful feature is layering option in the Bar/Line view, using the line mode for the measures, where you can have split by [Month] field, layering by [Year], to establish whether for example Q4 was stronger in 2013 than 2014 and follow it further into the new year. Paola, thank you for your help. But I need to mark two periods from year for example 1-6 2014 and 1-6 2013 or 1-2 2013 and 1-2 2014, 1-8 2014 and 1-8 2013 - down on graph. And I need to split after years. Omniscope will allow you to create bi-monthly or 6-months split intervals, also display them next to the relevant totals (in the Split menu you can select the option "All data"). You can also have multiple-split fields (see the top RH corner view).